Mr. Number - So far, it’s the best that I’ve found. 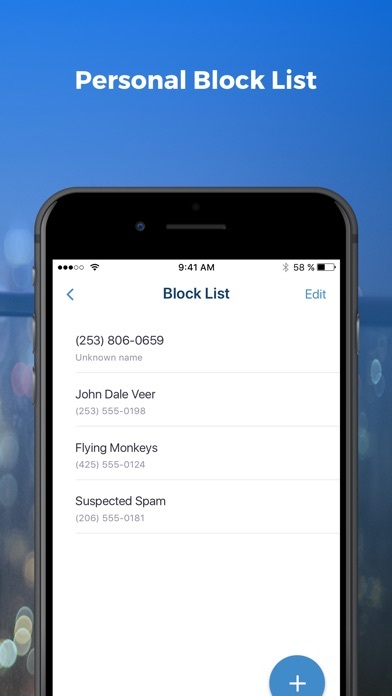 It’s not perfect, but it works better than any “call blocker” I have tried. 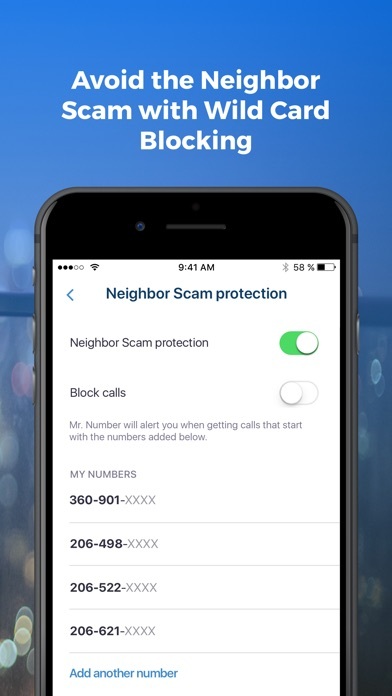 I get countless spam calls & this app labels most of them “spam “ or “fraud” . Now if if could do the same for fake text scam on gift cards & money-by clicking on the link, it’d be ⭐️⭐️⭐️⭐️⭐️. Wrong Fone # info Janet Logan? Doesn’t stop calls, even after they are added. I have purchased ringtones that do not work anymore. It uses the default ringtone that comes with the phone. The only answer given was to delete the app but I paid for a whole year. What a rip!! Don’t buy!!! 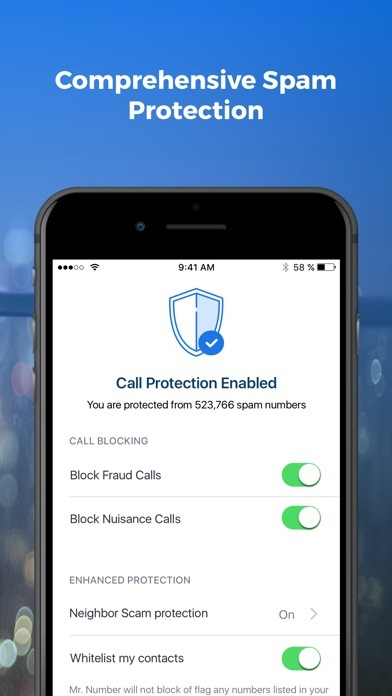 Absolutely the best call blocking app for you’re phone. Nothing like the free app was, blocked numbers still comes through. There is NO WAY I can block the calls from coming through. Spam number still comes through. I need my refund back NOW! Don’t purchase this app! It’s a waist of money! I love my Mr. Number. I LOVE IT! With my line of work it. It is extremely useful!! IT DOES NOT WORK WITH ANROID PHONES THOUGH!! I went and got an IPHONE phone just so I could USE MR NUMBER It is well well worth it!! I GOT MY IPHONE FOR 100 BUCKS WITH FIRST MONTH SERVICE AT BOOST MOBILE!! WELL, WELL WORTH IT!! MR. NUMBER HAS BEEN VERY USEFUL TO ME!! I WILL NOT GO WITHOUT IT!! I LOVE MR. NUMBER!! 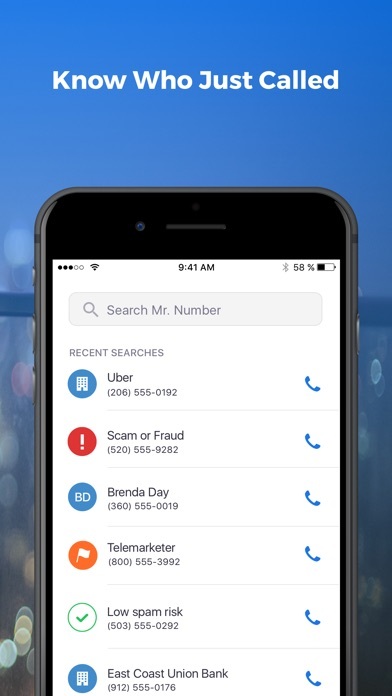 I am receiving fewer and fewer spam calls as I update my Mr. 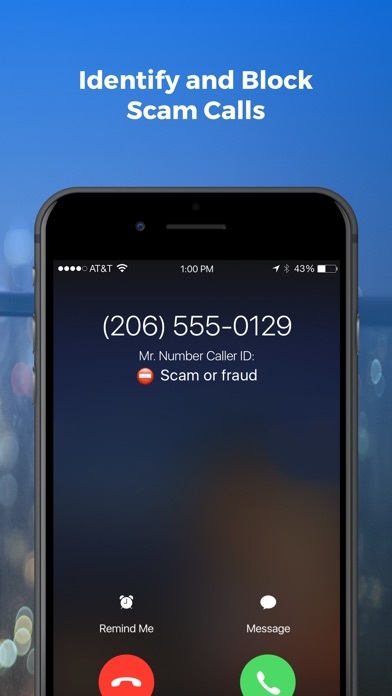 Number database and report incoming calls.